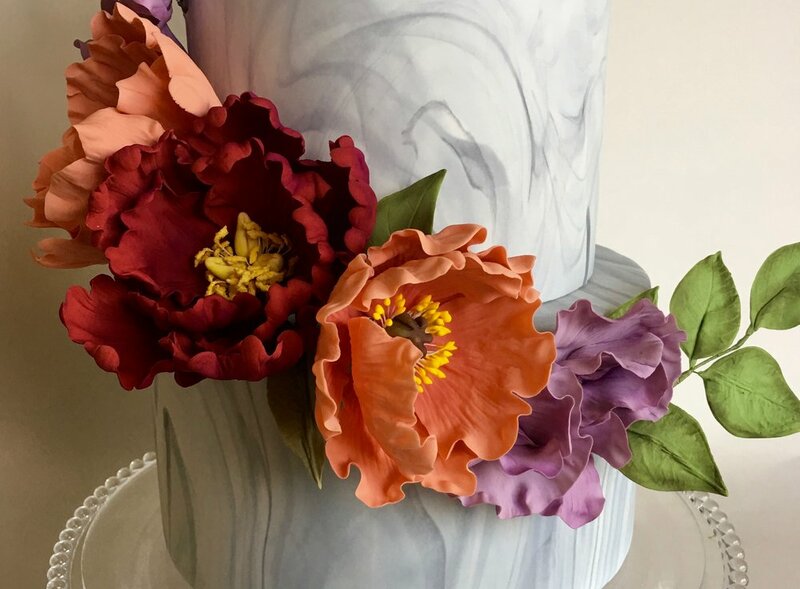 Over the past decade, we’ve acquired a strong reputation for creating awe-inspiring sugar flowers by hand, one petal at a time, to adorn our cakes. 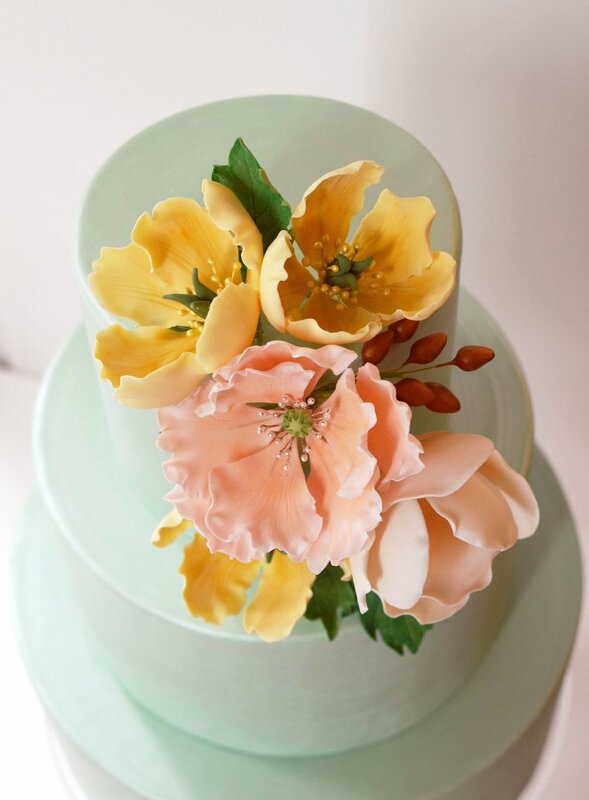 Most of our clients choose between one and three clusters of sugar flowers for their cake. Smaller two-tiered cakes look best with one cluster, while larger 3+ tiered cakes benefit from a few more clusters to create a balanced look. A combined cluster (i.e. 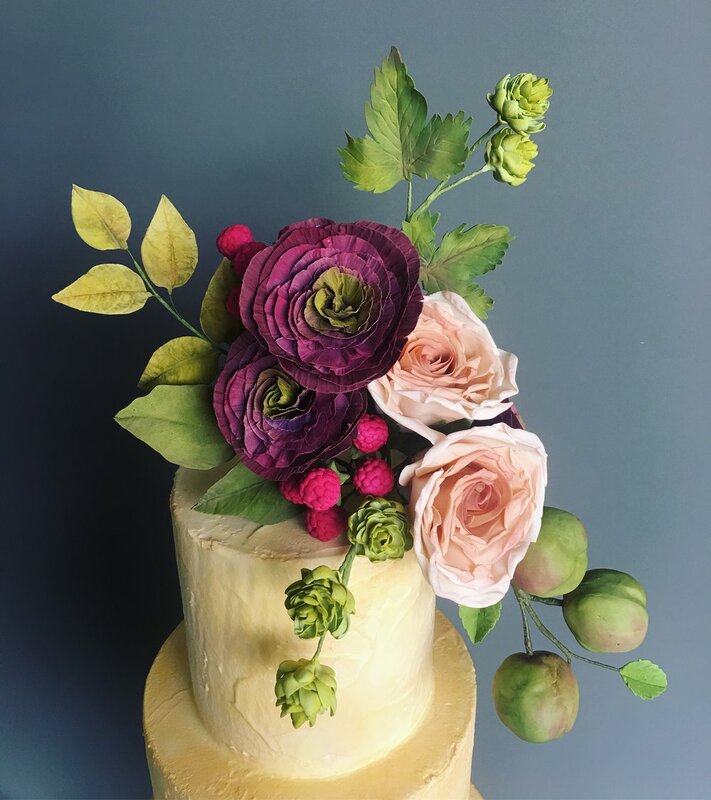 2-3 large focal flowers, plus buds and foliage) creates maximum visual impact on a cake, and typically ranges between $100 and $180. 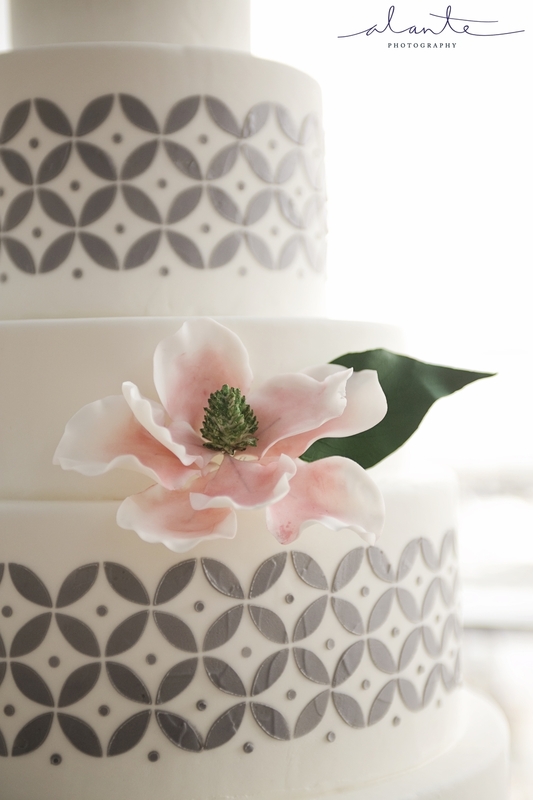 Some sugar flowers look absolutely stunning on their own, and we don’t always combine them into a cluster. Pricing for a single large flower (e.g. 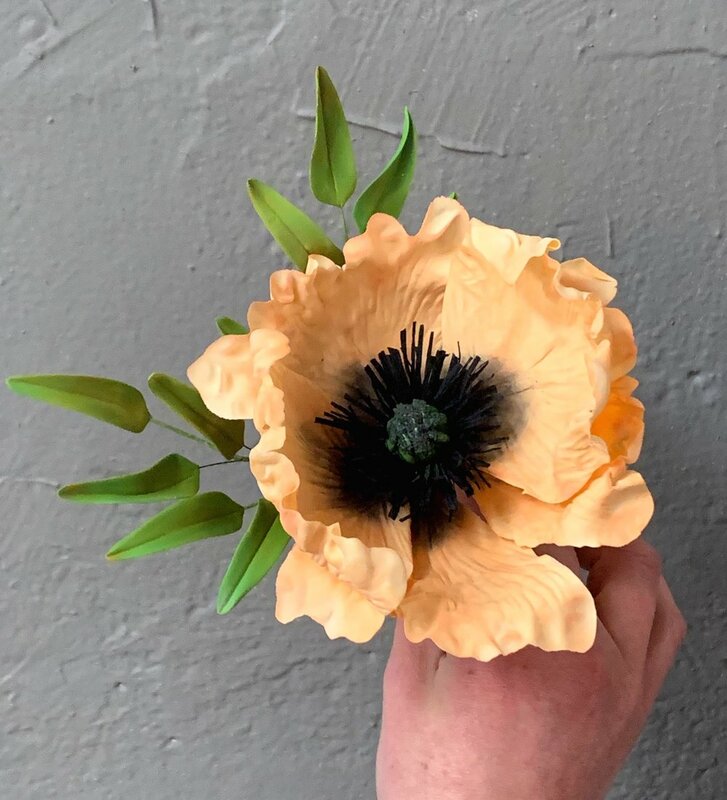 peony, succulent, magnolia, ranunculus, garden rose, hellebore, orchid, dahlia, etc) ranges between $20 and $75, depending on size and complexity. Smaller sugar flowers (e.g. bougainvillea, hydrangea, sweet pea, rosebud, plumeria) are typically arranged into clusters of three to five, ranging from $10 to $40 per cluster. 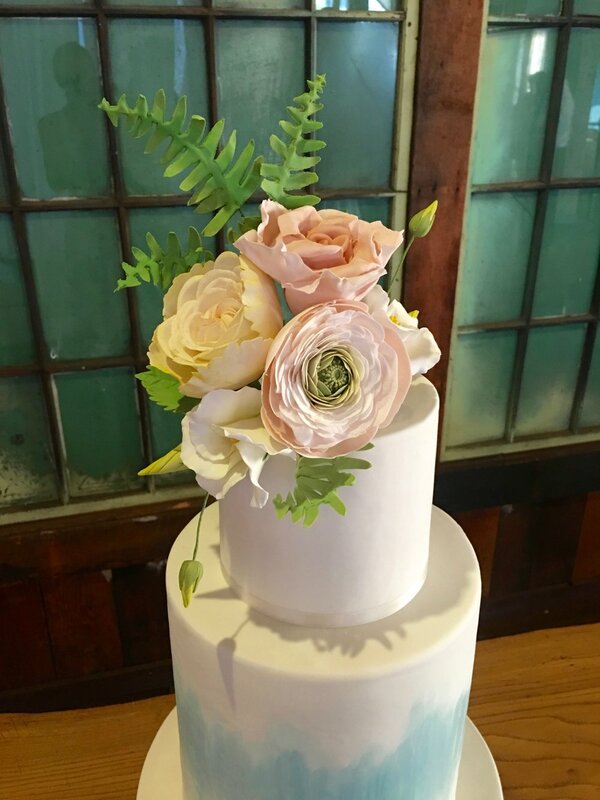 We are always happy to advise you on the optimal combination and placement of sugar flowers within your intended budget. Many of our clients choose to put their sugar flowers on display in their home after the event. This is most easily accomplished with a glass cloche to protect the flowers from moisture and dust, which you can purchase online (e.g. from Crate and Barrel, or via Amazon). Some of our clients prefer to use a shadow box instead. 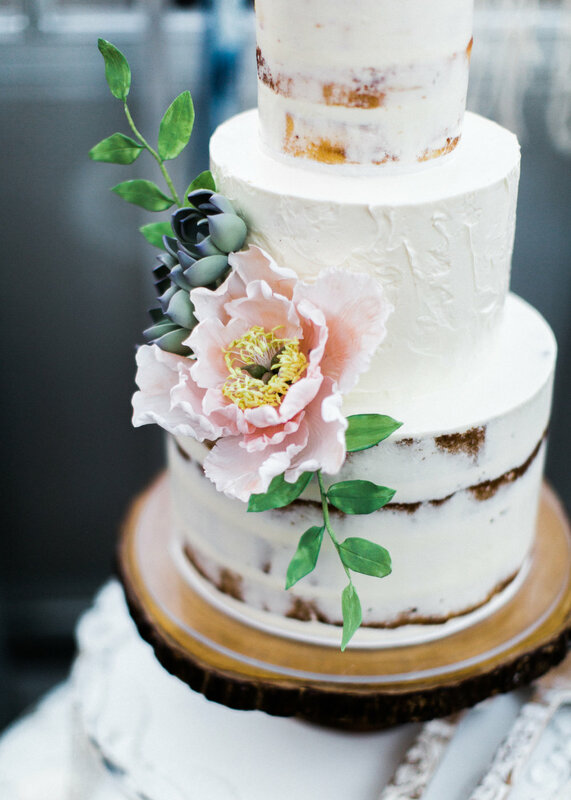 We will gladly instruct your caterer about keeping the flowers intact while removing them from the cake. If you’d like to bring your sugar flowers back to us after your event, we will restyle them into a beautiful arrangement for your shadow box or glass dome.